Indeed. And this isn’t restricted to just dramas. Young Sheldon premiered on TVNZ 2 in mid-February (I watched the 1st ep whilst over there at the time) with new eps available to stream from 7pm Fridays (NZ time) via TVNZ OnDemand as soon as they air in the US. Modern Family on Three is nearing the end of Season 9 whilst Australia has just started showing the season yesterday. As for The Big Bang Theory, they’ll air S11E21 on Wednesday 9th May, whilst S11E22 (which aired last Friday, Australia/NZ time) is available on TVNZ OnDemand, with S11E23 to be available tomorrow at 6:30pm NZ time. By comparison, Australia is up to S11E13 as of this week. Basically speaking, if you’re in NZ, you can watch some of the most popular US shows as soon as they air in the US legally, and therefore don’t have to worry about sourcing the show via other means. On the other hand, if you’re in Australia, you would either have to wait months or source it elsewhere. 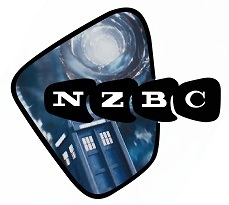 And yes, I did watch quite a bit of NZ TV whilst I was over there, especially for 1 News at 6 on TVNZ, as well as bits of NewsHub on Three. majority of US shows while still broadcasting them on air. Grey’s Anatomy was for a time on TVNZ OD months before it aired in prime time on TV2. As you mentioned, they have got Killing Eve up there which drops every Monday at 6pm (it’s a fantastic show by the way). I’m not sure it’ll even get a FTA airing even but they’ve pushed billboards and advertising around the show to really get in behind it. A lot of buzz around it. I think SBS does something similar, for example Brooklyn Nine-Nine gets uploaded onto SBS on Demand right after it airs in the US, despite not airing until Wednesday night on SBS Viceland. This is great for me since I have more time to watch TV on Mondays. TVNZ 1 idents have been given a retro skin, to coincide with the release of the new Deadpool film. Not really sure how to describe it lol! To be honest, its not all that hard but while the ratings drive so much of the decision making around what content goes where this will continue here. i dont think australian commerial tv really care about what we watch , if they did then every thing would fast tracked i think there scared of what they put on i know australian tv is ratings driven maybe it needs an overhall? Don’t forget, NZ TV is a free-for-all, anyone can start a channel with a bit of money behind you. It could be a case of competition driving fast-tracking, not just between internet delivery/piracy, but also between the networks. Perhaps because over here most of those hit US shows are on streaming or Foxtel ? Sorry everybody, a major IT issue means no @PrimeNews530 tonight. Computer says no. Fantastic, good on the Kiwi innovation. I would like to see shows on there about local wine however. Would be good if local content producers got on board. 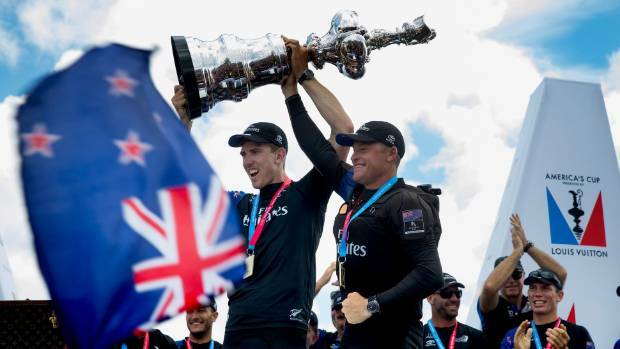 TVNZ has beaten TV3 in a fierce bidding contest to win the broadcast rights to the 2021 America’s Cup which will be held in Auckland. As part of TVNZ’s agreement, NZME’s Newstalk ZB and Radio Sport will deliver exclusive radio commentary of the event. TVNZ pays over the odds for America's Cup with Kiwi viewers and Team NZ the winners. A local version of Gogglebox has been announced by Three - Sharyn Casey will narrate. I’ve never really looked at it before but have just noticed that there are a lot of similarities between Three NZ and Network Ten, whereas TVNZ1 & TVNZ2 are more closely aligned with 7 & 9 programming wise. Obviously The Project is a big one but also The Bachelor NZ, Family Feud AU (and the NZ one before it was axed), All Star Family Feud NZ, Dancing with the Stars (if Ten have picked it up) and now Gogglebox. They previously had local versions of MasterChef and So You Think You Can Dance and then there’s other Australian content they’ve picked up like Bondi Vet, Good Chef Bad Chef, Everyday Gourmet, Travels with the Bondi Vet, The Home Team, Let’s Do Coffee plus overseas programming like Entertainment Tonight, Hawaii-Five 0, NCIS, SVU, Graham Norton etc. Another major similarity is that both Three and Ten have generally been third place. There was also some common ownership previously as well as Canwest was the majority owner of Three for a number of years. When it comes to the news battle though its a 7&9 battle between TVNZ One and Three. Ch201 if you’ve got the right gear. Spark has beaten incumbent beIN Sports to secure broadcast rights to English Premier League from 2019/20 to 2021/22 seasons. The telco plans to add EPL to its sports streaming platform which will be used to broadcast next year’s Rugby World Cup from Japan. Telecoms firm to show English soccer’s top flight in New Zealand for three years. 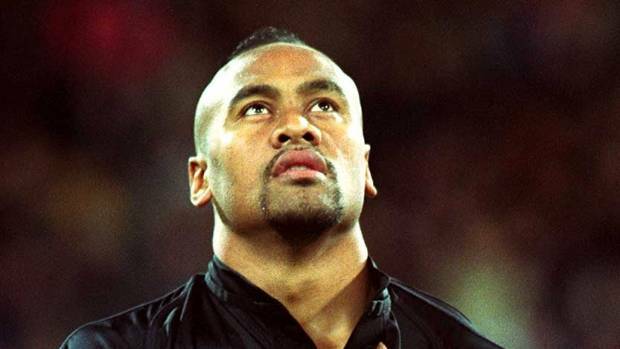 Seven-owned production company Great Southern Pictures is making a two-part mini series on rugby union legend Jonah Lomu. It will be shown on Three in 2019. A drama mini-series based on NZ rugby legend Jonah Lomu has been granted $5.4m of NZOA funding. New premium factual channel BBC Earth will launch in New Zealand on SKY on October 22, rebranding existing channel BBC Knowledge. The BBC Earth channel will showcase a broad range of world-class factual programming represented by natural history, human stories, adventurous travels and scientific investigations, and will feature programmes from expert presenters such as Sir David Attenborough, Michael Mosley, Louis Theroux, Professor Brian Cox and Steve Backshall. Titles in launch week include Planet Earth II , the ambitious landmark natural history series that allows us to experience the world from the viewpoint of the animals themselves; Spy in the Wild, captures how similar we are to our animal cousins through the use of spy cameras; My Year with the Tribe, sees Will Millard visit the treehouse-dwelling Korowai tribe in Papua, Indonesia; Without Limits, which follows six disabled people on an epic journey along Vietnam’s Ho Chi Minh trail; and a new series of Trust Me I’m a Doctor with Michael Mosley, who gets behind the hype to discover the truth about what’s good for your health. Closely following the launch, BBC Earth will host ‘Being Human’, a season of programmes airing in November exploring the human race, how we might improve the way we live and what the future could hold for civilisation. Shows will include Future Human: AI , The World’s Most Extraordinary People and Meet the Humans . BBC Earth will join existing BBC channels – BBC UKTV and BBC World News – on the SKY platform as part of the SKY Entertainment package. It will also be available to live stream on SKY GO and selected shows are available for Catch Up on SKY GO and SKY On Demand . Planet Earth II (22 October) - A decade ago, Planet Earth redefined natural history filmmaking, giving us the ultimate portrait of life on Earth. Ten years on, advances in both filming technology and our understanding of the natural world mean we can reveal our planet from a completely new perspective. Now, Planet Earth II allows us to experience the world from the viewpoint of animals themselves. Spy in the Wild (22 October) - Animals love, mourn, deceive and invent – just like us. A new generation of spy cameras reveals how similar we are by using highly entertaining footage combined with fascinating scientific details. My Year with the Tribe (22 October) - Living in treehouses and using stone tools, the Korowai were only discovered in the jungles of West Papua 40 years ago. Will Millard visits this tribe to better understand the pressures they face, and how much of their traditional hunter - gathering lifestyle still exists. What he finds shocks, surprises and confounds him, as he witnesses the last gasp of an ancient way of life which once defined us all. Trust Me I’m a Doctor (24 October) – The doctors are back to get behind the hype and headlines to find the truth about what’s good for your health. Without Limits (28 October) - Six disabled people ride out on an epic journey along Vietnam’s Ho Chi Minh trail to discover a country of contrasts and a place to find themselves. Their journey highlights the beauty of Vietnam and challenges how the participants view their own disabilities. Wild New Zealand (27 October) - This series reveals the country’s rich and intriguing wildlife stories, from the bustling communities of penguins hiding away in giant daisy forests to the kakapo – Earth’s only species of flightless nocturnal parrots. New Zealand was also the last place to be discovered and settled by people who brought with them new animals, like merino sheep and new predators like the stoat. Finally, Wild New Zealand meets the pioneering conservation heroes who are fighting to save some of its most endangered species. Future Human: AI - From self-driving cars to robot cars, from exo-skeleton machinery to aid the disabled, to social robots whose role is to provide company for the lonely, the developments made in the field of A.I. have been astounding but what risks does it pose to human jobs and safety – and what might happen when A.I. can think for itself? The World’s Most Extraordinary People – How might rare medical conditions be a force for good? This revelatory series reveals the extraordinary people who are helping international scientists make medical breakthroughs and advance our knowledge of the human body. Meet the Humans - This bold new series puts human behaviour under the microscope. A plush country house is rigged with surveillance cameras and a group of unwitting test subjects invited to take part in various group activities, with Michael Mosley and experts analysing the contributors’ every move.